For anyone in need of a solid EDC (Every Day Carry) knife that will stand the test of time and be right by your side whenever you may need it, we have compiled a list of the ten best EDC knives for any budget. The important thing to remember is that an EDC knife doesn’t have to be loaded with all sorts of special features and gadgets. This is a simple and well-constructed knife to keep with you throughout the day for a variety of needs. 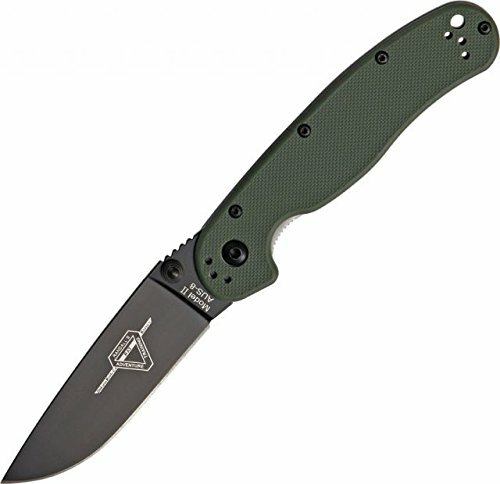 The perfect EDC knife will be comfortable to carry, versatile for use in a number of different situations, and always dependable.While there are many specialty knives that can be used for specific purposes such as gutting a fish, whittling wood, or slicing fruit and vegetables, a good EDC knife is meant be kept on your person for general use throughout the day. Should you need to cut a rope or fashion tent pegs, your EDC will be with you and ready for duty. Although there are a lot of EDC knives out there going for high prices, you should never have to pay more than several hundred dollars for a well-made model that will last for many years. You shouldn’t have to go broke in order to have a simple and highly dependable EDC knife at your side. We have compiled here a list of the top ten quality EDC knives for affordable prices currently on the market. The Kershaw can be purchased for as little as $30, but that doesn’t mean this knife is anything less than a quality product. Made of stainless steel and featuring SpeedSafe assisted opening, this is a truly well constructed and dependable knife. 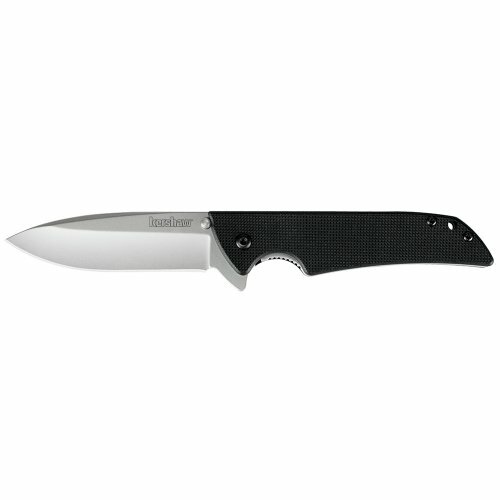 Long one of the best-selling EDC knives, customers love the great look and low overall weight of the Kershaw. In the past, many had complained about the grip on this model, but this has now been corrected with the addition of a G-10 front scale that gives this versatile model the grip that customers were looking for. 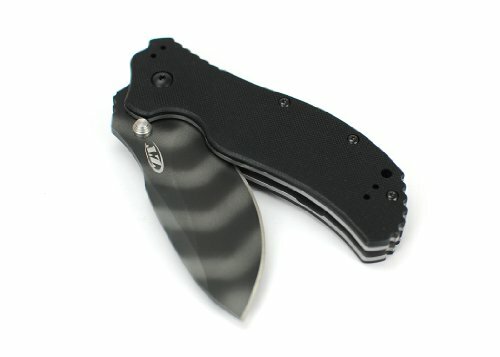 Two unique features the Krenshaw boasts are its “flipper” which allows users to easily move the blade out of the handle, and an innovative pocket clip that provides maximum discretion and flexibility. When it comes to well priced, quality EDC knives, they just don’t come much better than the Kershaw. The Ontario is unique due to its black-finish blade and small size of just 7 inches from handle to blade. Not only does this nifty model look terrific, but it is also known to stand the test of time. 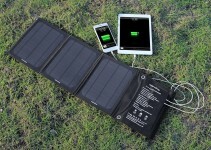 Users have touted this model’s long lasting durability and its ease of use. With the proper maintenance and blade sharpening, the Ontario will be by your side for as long as you need it. For anyone just looking for an affordable and simple knife that looks great and will be of use in many different situations, then the Ontario may be your best bet. Speaking of smaller knives, the Spyderco is as small and nifty as they come. Just like the Kyro, this one comes with a stainless steel blade but has a much different look. 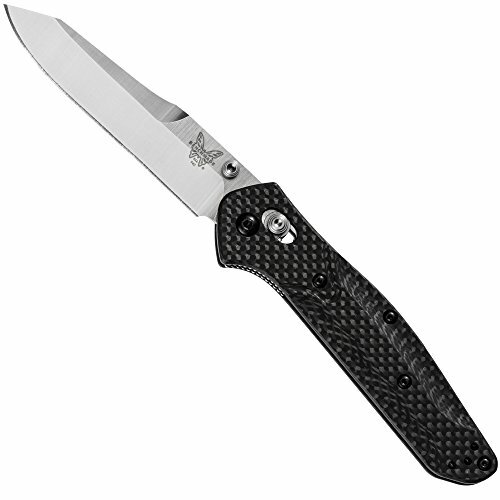 The amazingly sharp blade is shaped like a leaf and features the distinctive spider logo this brand is known for. Users love the super lightweight feel of this knife, reporting that it feels just like an extension of their hand when performing tasks. Its versatility, ease of use, and cool look make the Spyderco one of the most popular cheaper EDC knives on the market. The Spyderco brand just keeps on manufacturing terrific budget EDC knives, and the Resilience model is no exception. 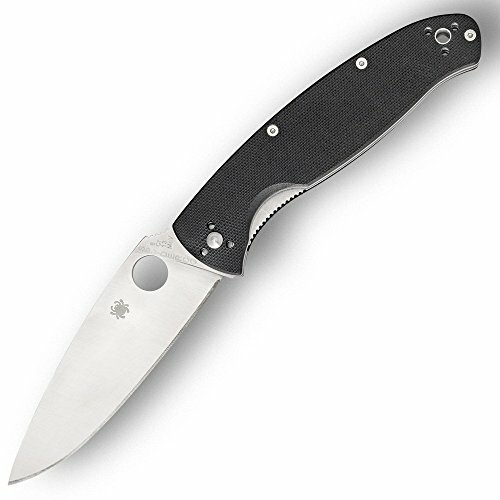 This is the largest of the Spyderco EDCs, but it is small and functional enough to carry with you at all times without being a burden. A great feature on this knife is the blade’s tip-to-handle cutting edge, which makes it perfect for cutting wood and other repetitive tasks. Customers love the non-slip grip that allows for extremely comfortable handling. Spyderco’s Resilience offers maximum usability and versatility at a price you can afford. A long-time best-seller, Kershaw’s 1760 offers all the features anyone looking for the perfect EDC knife needs. Not only is it incredibly small, coming in at just over 7 inches from blade to handle, but it weighs so little that you won’t even feel it in your hand. The steel blade is one of the best that can be had in this price range, and the handle is known to be both incredibly solid and easy to grip. The Skyline offers amazing quality in a small package. This is what a great EDC knife is all about. Just like the regular Skyline, this Kershaw model offers small size, solid feel, and durability while adding in some incredible design features to back up the elevated price point. The first feature is the incredible-looking black swirl-design blade that really puts this model on top when it comes to great looks. There are also dual thumb studs that make for even easier handling. The Damascus Skyline is perfect for anyone looking for an amazing-looking knife that features all the versatility and solid-design features that Kershaw is known for. The first thing that stands out about this model is the innovative striped-design blade and sheer black handle. EDC knives just don’t come any cooler looking than this. But great design isn’t the only thing that stands out about this knife. The blade is as sharp as you can get and the handle features extra grip for maximum comfort during use. When it comes to durability, this is about as solid as you can get with stainless steel from handle to blade to liner lock. The Zero Tolerance provides enough quality to justify the higher price point. One potential drawback is that this knife is a bit heavier than your average EDC knife, but what you sacrifice in weight you make up in incredibly solid construction. 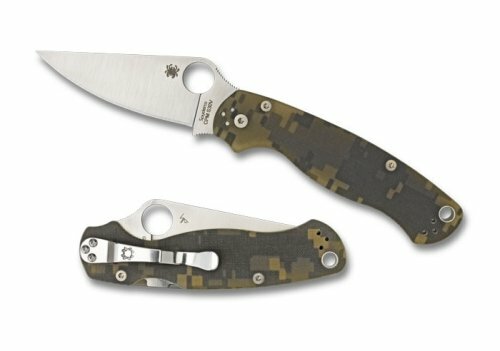 A favorite of knife enthusiasts due to its unique design and features, Spyderco’s ParaMilitary2 is one of the most interesting and innovative EDC knives to hit the market in many years. Featuring its distinctive camouflage handle and black blade, this is one of the most unique knives you will ever own. Not only does it look amazing, but the super lightweight feel and solid build of this tiny knife offer the quality that Spyderco has always been known for. You do pay a little more for the amazing design, but when you factor in the quality and collectable factors it is easy to see why this is a great purchase. For a stylish and dependable EDC knife for well under $200, the ParaMilitary2 really can’t be topped. 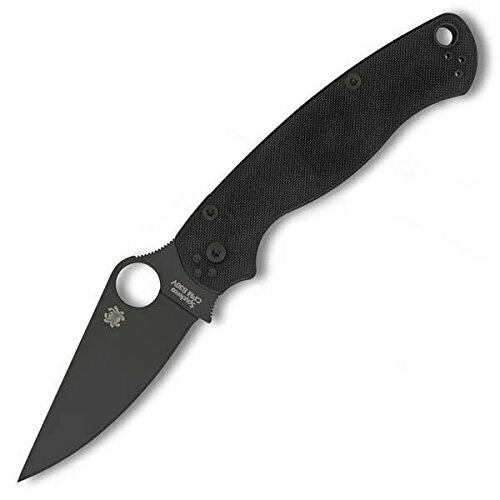 Inspired by Spyderco’s full-size paramilitary model, the G-10 offers an amazing all-black design that makes it really stand out amongst the EDC knife field. This knife is also incredibly light and easy to handle, featuring a unique flat-ground blade and compression lock. The handle is also innovative, featuring ergonomic curves that lock the user’s hand into place during use. Solidly constructed, light, and easy to use, the G-10 proves to be a stylish and practical EDC knife for any user. The innovative design and unique features are what you are paying extra for with the G-10. There just isn’t any knife quite like this one, so if you’re looking to stand out with your EDC knife then you will definitely want to check out the G-10. Any EDC knife priced over $200 is really going to have to deliver in order to justify its price point. The 940 definitely delivers, offering near perfection for users willing to shell out a little more for a truly amazing knife. EDC knives just don’t get any more lightweight than this, coming in at below 3 ounces. This model is also extremely solid, and the ultra-sharp blade lasts for a long time before having to be sharpened. Featuring a distinctive green handle and custom blade, this is a classy and aesthetically pleasing knife that matches its looks with amazing quality as well. The 940 delivers an amazing design and quality features that make it a bargain even at this higher price. There are a number of considerations to keep in mind when looking for your perfect EDC knife. The most important points are covered here. An EDC knife should be made for carrying at all times and should therefore be both lightweight and versatile. The last thing you want for your EDC knife is a model that weighs too much or is cumbersome to carry. You want a knife that you won’t even feel on your person. Therefore it is best to avoid fixed blade knives and focus on folding models that are lighter and more compact. You don’t want a weight of more than 4.5 ounces or a blade length of more than 3.5 inches. Don’t be distracted by all the specialty performance knives that catch your eye. A perfect EDC knife is all about practicality. The perfect EDC knife blade will be made of durable material that is resistant to the wear and tear of every day use and will keep its edge for a long time. The last thing you want to be doing is sharpening your EDC blade every week. Although not everyone can afford high-end blade materials such as S90V or M390, more affordable but durable materials such as S30V or VG-10 will work fine. For the handle you will want to go with the G-10 grip that is featured on most well made EDC knives. For your EDC knife, you want a model that will feel natural in your hand when in use. This is why it is always important to pay close attention to the materials used on any model you may be considering. It is easy to get distracted by the many knives offering a multitude of special features. While it would be great to have a knife that can be used for any task at any time, all that features do is add weight to the knife and make it cumbersome to carry. For an EDC knife you want a series of simple features that will make it easy to use without adding any extra weight. One thing that you will want is a sharp pointed blade since lots of everyday tasks will call for one. 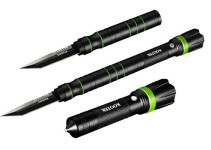 You will also want the blade to be serrated so you can use the knife for both tough and easy cutting jobs. Pocket clips also come in handy, allowing for easy carrying at all times. These simple features, which add convenience without adding weight, are key when it comes to the perfect EDC knife. Although you aren’t going to need the absolute top of the line when it comes to quality, you do want a knife that offers high performance for the long run. After all, this is a knife that you will be using every day. Fortunately, there are many lower-priced ECD knives out there that offer the high quality you need without going overboard. The great thing about EDC knives is that you don’t have to shell out a ton of money just to get a quality model. As you can see from the list above, many quality models can be had for under $50. The more you pay, the higher the quality and design of the knife will be. 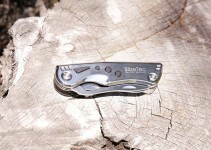 One advantage to paying a little more is that there will be less maintenance involved such as sharpening and tune-ups. For your very first EDC, you will want to spend less. Once you get a feel for what you need, you can then upgrade to a model that better fits your personal preferences. So what exactly is an EDC knife? This is an “everyday carry” knife. This is a knife you keep on your person throughout each day in order to tackle any tasks that may present themselves. An EDC knife can be seen as a trusty companion that will be at your side for many years, helping you take care of situations from the mundane to the life threatening. With a good EDC knife at your side you will always be comfortable knowing the help you need is within arm’s reach.